Savory Thoughts: Your life is a school. Everything that happens is teaching you something. Pay attention. Anonymous. 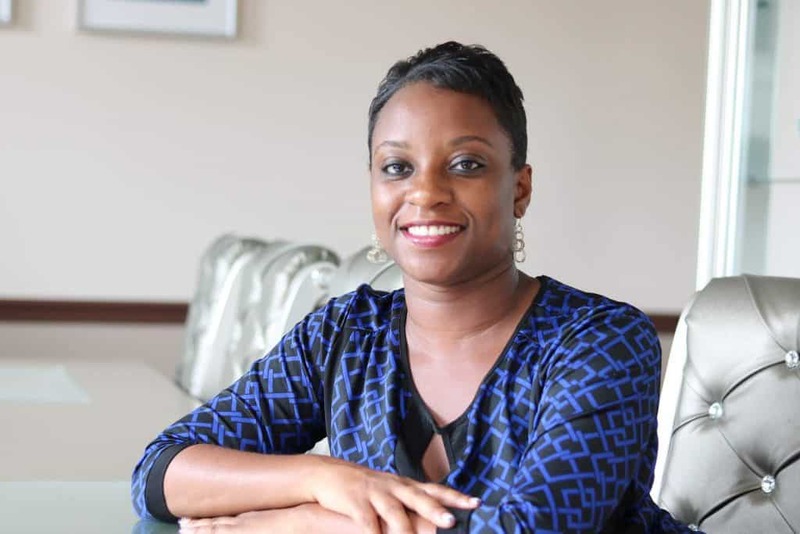 You know how sometimes you would hear a piece of advice, and quickly you’ll have an “aha!” moment? Well, that happened to me after having a conversation with my friend a while ago, and she stated, “why don’t you just toast the bread first?” GENIUS! I remember immediately thinking, of course, I’ve toasted regular slices of bread before for other french toast recipes, why not for this one. Her family loves her french toast recipes, so when I was trying to perfect this recipe, that little piece of advice came in handy. Why Does This Brioche French Toast Recipe Work? The bread is lightly toasted before dipping it into the egg mixture. After toasting the bread, you’ll finish it off in a skillet over the stove. Add your preferred syrup or fruit compote, and enjoy. A simple French toast recipe. 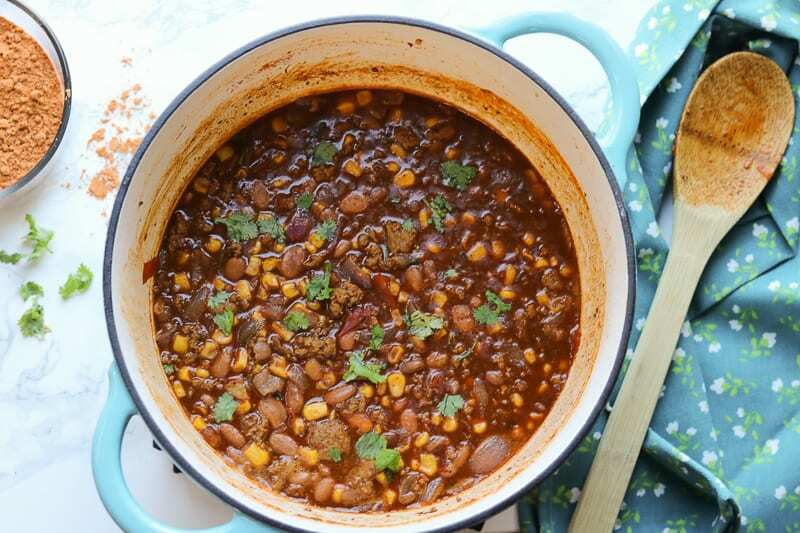 Trust me, you’ll want to whip this up for your family on Saturdays. This is the easiest, most crispy French toast recipe ever. I love brioche bread and French toast has always been my favorite to make. My husband and I would sometime battle between French toast and pancakes. Needless to say, he is a pancake lover. However, I am a French toast gal! I often win the fight :-). What’s not to love about a crispy toasts that’s covered in syrup, fruits and maybe powdered sugar. 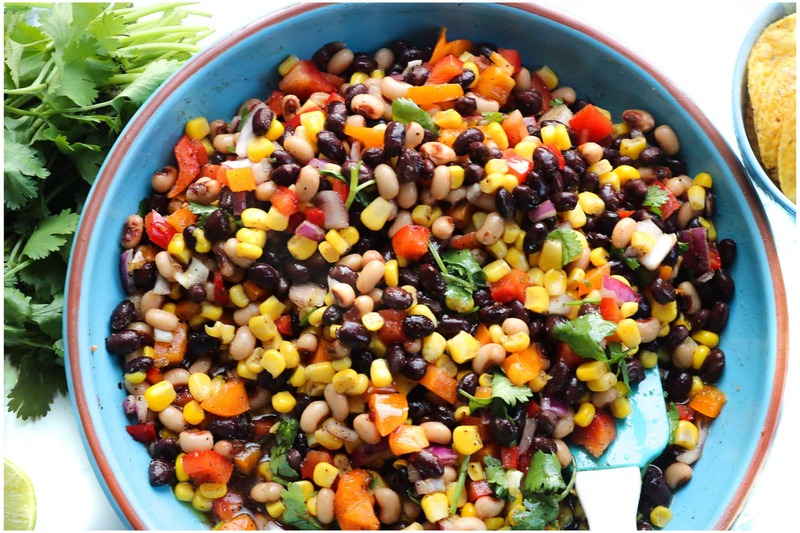 This recipe is easy to make. It is a classic breakfast recipe that can feed a family with no real work. What Makes Brioche Different To Most Breads? Brioche bread is perfect for French toast because it holds well when soaked in the egg mixture. It is filling and satisfying. I do not like a bread that cannot stand the weight of the egg mixture when making French toast. Brioche compared to other bread, is very good because it is tough and it soaks well. It’s a thicker bread but not tough to cook with. How To Prevent The Brioche Bread From Being Soggy? A good French toast recipe does not include a soggy bread. In fact, the bread is lightly crispy and yet soft. It doesn’t taste like it was submerged in eggs, but instead, lightly coated with eggs and cinnamon. The key to not having soggy bread is to lightly toast the bread before dipping it into the egg mixture. By toasting the bread first, this ensure you to have a crispy French toast every time while the inside is still soft. How To Make Brioche Bread French Toast? When ready to make this dish, toast all the bread and set them aside. You can cut the bread in half diagonally or leave whole. Mix all the ingredients. Dip the bread into the egg mixture, then add it to the buttered skillet. Cook until golden brown on both sides. Place in the oven at 200 degrees to keep warm while you finish the other slices. 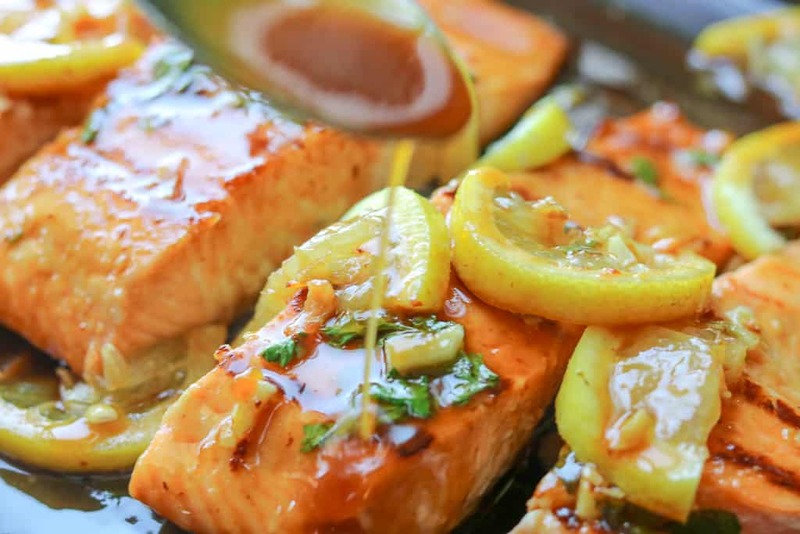 Serve with your favorite syrup and fruits. 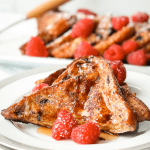 Did you make this Brioche French Toast Recipe? Tag me on Instagram or Facebook so I can see your beautful work! Don’t forget to please give it a star rating below! 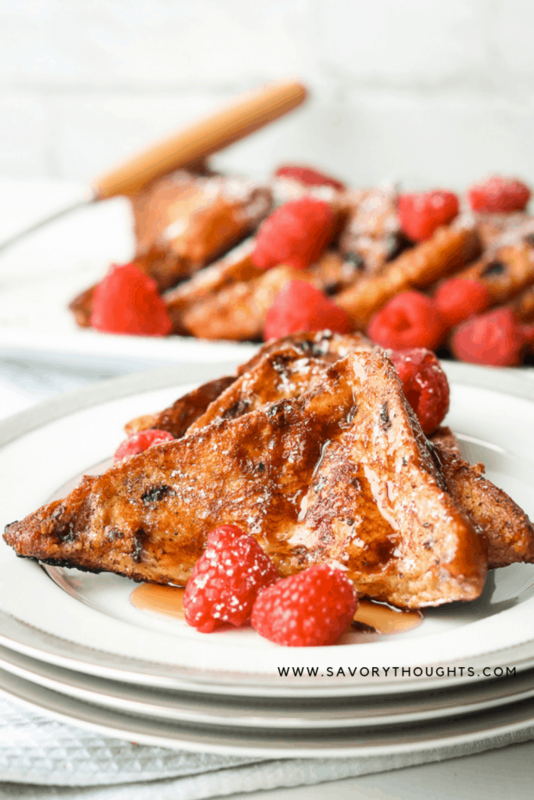 SAVE THESE BRIOCHE FRENCH TOAST RECIPE TO YOUR PINTEREST BOARDS! If desired, cut the bread diagonally. Toast the bread lightly. Set aside. In a separate bowl, combine the eggs, milk, cinnamon, and salt together. Whisk well. Dip the bread into the mixture. Then place the bread in the heated buttered skillet. Cook until golden brown on both sides. Best to slow cook on medium heat. Place in the oven on 200 degrees to keep the french toast warm while you finish the other toasts. Repeat the process. Serve warm with your favorite syrup and fruits. Enjoy! Use real butter. This is key to have additional crispiness around the edges. If you are non-dairy, or dairy-free, a great alternative is to use So Delicious Culinary Coconut Milk. This milk will provide a hint of coconut flavor and taste so delicious. Be sure to not soak the bread too long as you do not want it to fall apart on you. I love your idea of toasting the bread first. Such a great idea for keeping the bread from getting soggy. Thanks for sharing your yummy french toast recipe. Oh my! This brioche French Toast looks amazing! Definitely a level up from the ordinary breakfast! YUP…you are calling my name with this recipe. What a treat for the weekend brunch. Brioche is so delicious. I love the idea of toasting the bread first! I can’t believe I haven’t tried that yet. Such a great idea. 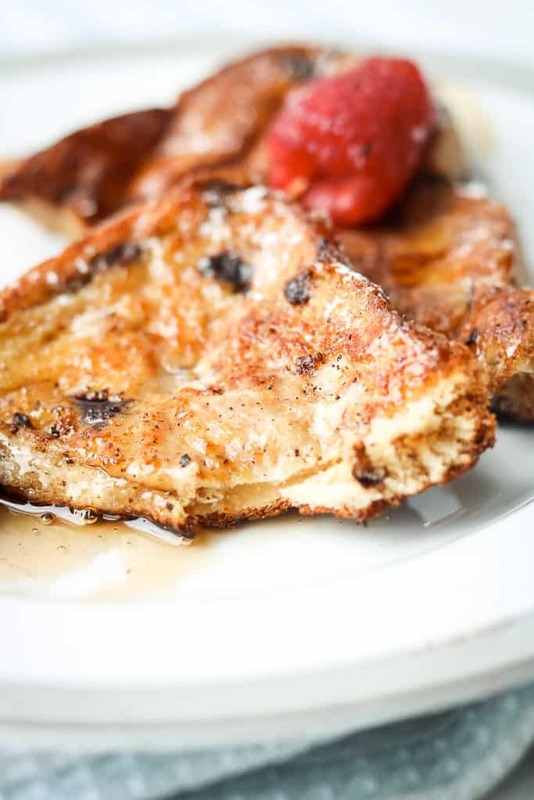 This french toast is definitely making an appearance on our Easter brunch menu. Thanks for sharing! I’ve never made my own French toast before but I’ve been meaning to try it for a while; you’ve reminded me to get a move on and just do it, as it looks delicious. 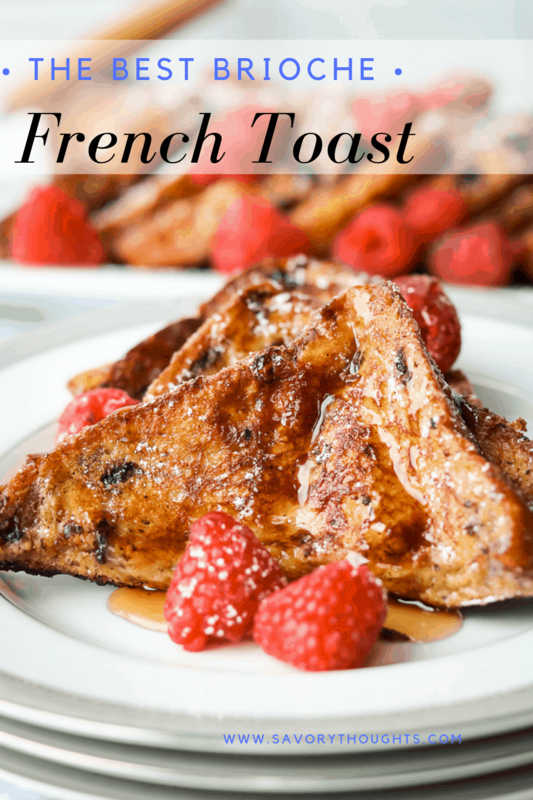 You definitely got me craving french toast, and especially using brioche! I’m already picturing my friends and I eating this for our next brunch. Thank you so much! Hahaha! I hope you enjoy it. Thank you. I make French toast often but not with brioche bread. That looks tasty! Yum! I love french toast and using brioche bread is such a delicious twist. Thanks for the recipe! Brioche is definitely the kind of all breads and the perfect choice for French toast. I love making sweet dishes like this for a special weekend brunch. Looks great! 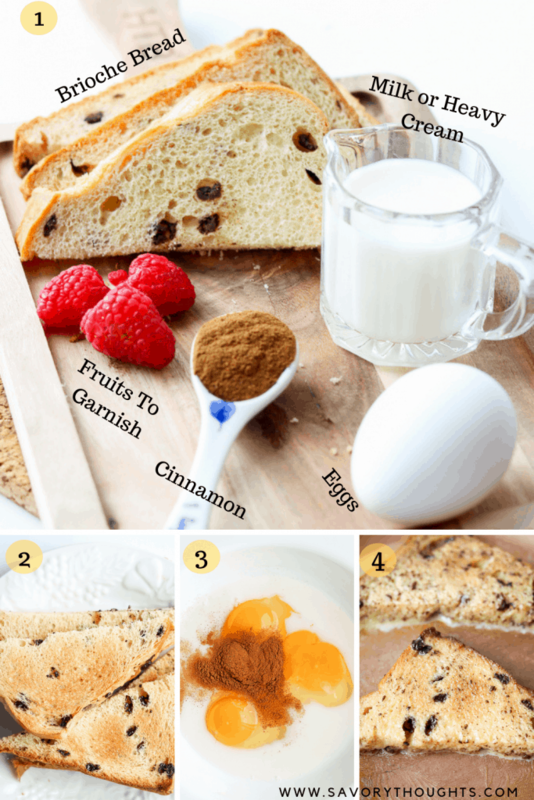 One of my boys absolutely loves french toast, he’d go crazy for this recipe. I’m going to save it fo rhim for his next special occasion. Thank you! I love French toast but have never made it with brioche bread. Sounds awesome and your tip about toasting it first is excellent! No more soggy French toast! Mimi!!! This has me drooling! Thanks so much for that tip to toast the bread before making the French toast! For sure. Thank you, April! I love the idea to toast the bread slightly before dipping it in egg mixture. I’m going to try this for our next french toast breakfast. The french toast looks so amazing! I am literally drooling! Love all those tips!